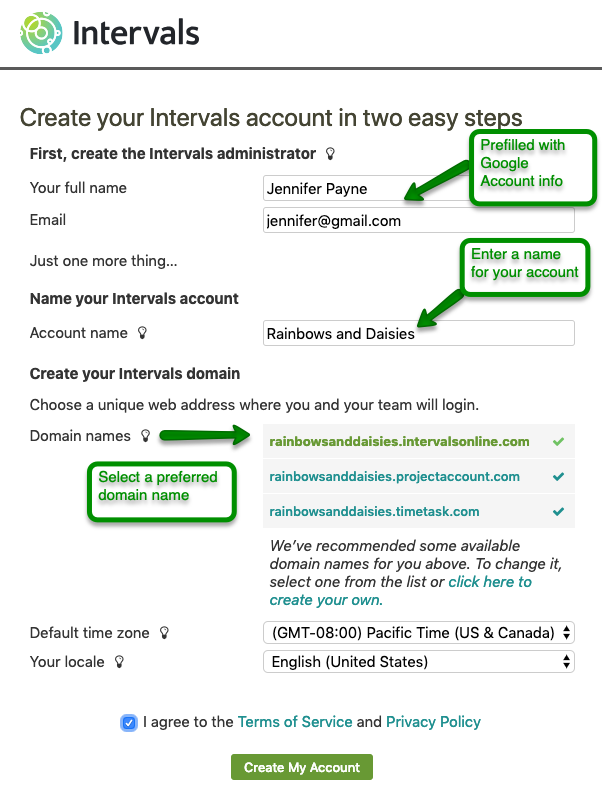 After selecting an Intervals plan, you will be prompted to create an Intervals Administrator account. Click on the “Sign in with Google” button to create this account using your Google account. If you are already signed into your Google account, you will be taken to the final step of the sign up. 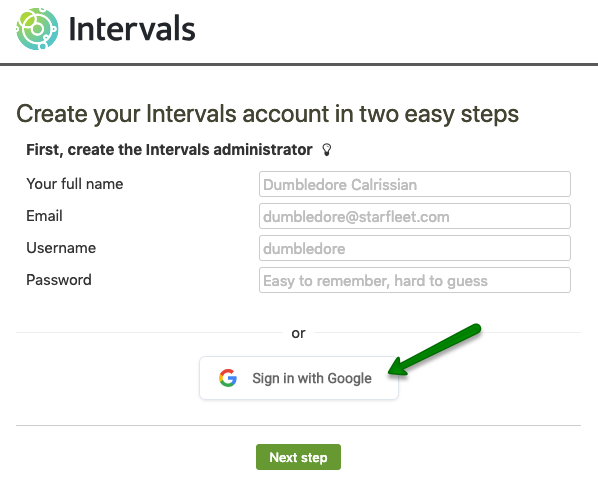 Note: If you are not logged into your Google account, you will be prompted login before continuing to the final step. Select a preferred domain from the ones suggested, or create your own. 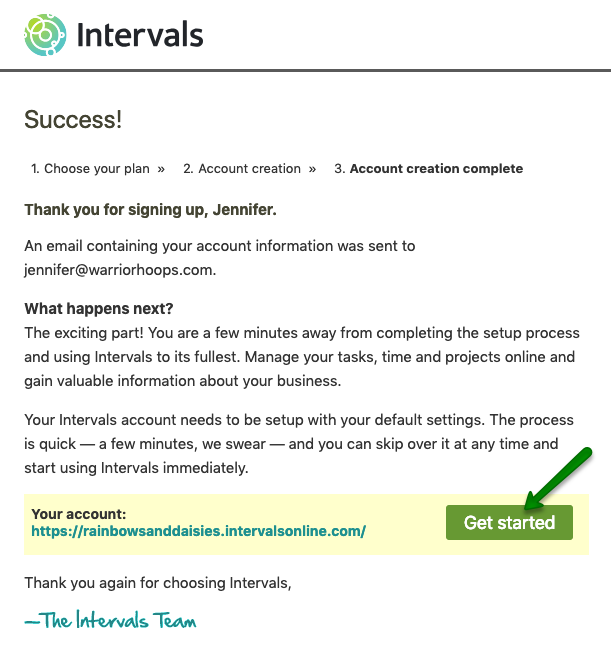 Click on the “Get started” button to begin using your Intervals account.